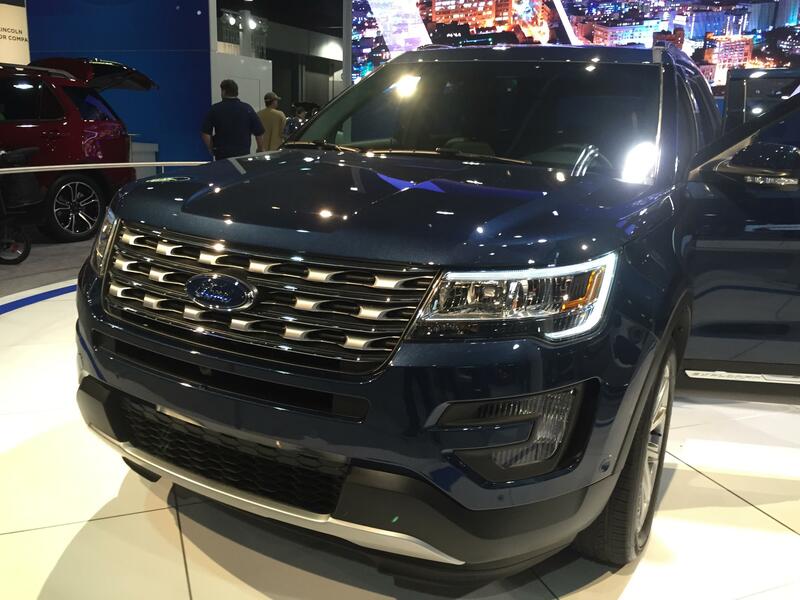 The 2016 Ford Explorer provides the best compromise of power and comfort in an SUV. With five different trims to choose from, there's a style of Explorer for everyone. Ford engineers didn't just reshape the body of the Explorer. They reshaped the engine offerings too, jettisoning the old EcoBoost 2.0-litre engine in favor of an optional turbocharged 2.3-litre EcoBoost engine that churns out 270 horsepower. But the base engine remains Ford's powerful 3.5-litre V-6, which cranks out 290 horses and is teamed with a six-speed automatic with SelectShift. Either engine can be paired with all-wheel drive. There's even a third option: a twin-turbocharged, 365-horsepower V-6 with steering-wheel mounted paddle shifters that gets 14.9 L/100 km in the city and 10.7 L/100km on the highway. The outside wasn't ignored, though. The bodywork was smoothed out, and designers added a body-colour liftgate spoiler in back. The front grille was moved up, and automatic LED low-beam headlights were added. The headlights even have their own small radiator grilles. With all the adjustments to the body, the 2016 Explorer looks and feels more like a car than an SUV. Five different trim levels are available: the base model Explorer, the XLT, Limited, Sport and Platinum. The Sport and Platinum models come standard with four-wheel drive and the twin-turbocharged V-6, while the others come with front-wheel drive as standard with four-wheel drive as an option. All models seat up to seven passengers and come equipped with features like power windows and door locks, a rear view camera, front and rear climate control, and cruise control integrated into the steering wheel along with audio controls. Of course, other options are available. The XLT offers items like a leather-wrapped steering wheel, Intelligent Access with push-button start, a premium audio system with nine speakers, and heated outside mirrors with signal indicators. Move up to the Limited and convenience items like a power-folding rear seat, hands-free power liftgate, leather-trimmed climate-controlled front bucket seats, and a power-adjustable tilt/telescoping steering wheel along with power-adjustable pedals can be yours. "Simply put, for almost everything that a family can throw at the Ford Explorer, it does it better than before, and it does what the wide majority of us want to do in a crossover." Contact Us to Test Drive a Ford Explorer Today!